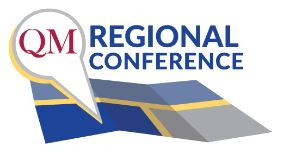 Educators from across the country will gather at Berkeley College on April 25 and 26 for the Quality Matters Regional Conference. Focused on learner success in online and blended learning, the Conference will provide attendees with the tools and resources they need to drive learner success at their institutions. Critical conversations will take place and ideas exchanged as leading colleges and universities share evidence-based best practices, data-driven policies and unique ideas that help learners succeed. Participants will also have several opportunities to network and foster future collaborations. Friday, April 26, 2019 – 8:45 to 10:15 a.m.
Friday, April 26, 2019 – 10:15 a.m. to 5 p.m.
Keynote Speaker: Meg Benke, PhD, Interim Provost at SUNY Empire State College, will present “Navigating Institutional Improvement and Accreditation,” focusing on strategies to improve institutional effectiveness, including ways to measure analytics and critical resource issues. Dr. Benke, who has held various roles at SUNY Empire State College since 1991, is a recognized expert in online learning. She has received several awards and accolades during her career, including the 2017 Noflett Williams Service Award from the National University Technology Network for advancing applications of technology to teaching and learning in higher education; 2013 induction into the International Adult and Continuing Education Hall of Fame; and the Most Outstanding Achievement in Online Learning by an Individual from Sloan-C Consortium in 2007. She is also a commissioner and executive committee member of the Middle States Commission on Higher Education and chairs its Committee on Substantive Change. Quality Matters (QM) is the global organization leading quality assurance in online and innovative digital teaching and learning environments. It provides a scalable quality assurance system for online and blended learning used within and across organizations. When you see QM Certification Marks on courses or programs, it means they have met QM Course Design Standards or QM Program Review Criteria in a rigorous review process.